An article from the STV news site. The former Prime Minister said more money should be spent tackling mental health. Former Prime Minister Gordon Brown has said there is a “full blown mental health emergency” in Scotland, as he highlighted a charity which is hiring mental health staff. The Cottage Family Centre in Kirkcaldy, Fife, provides support to vulnerable families and is launching a £100,000 fundraising campaign to help meet demand for counselling staff and a new family therapeutic worker. The charity, which has named Mr Brown as honorary patron, has already raised £100,000 this year. NHS Fife is one of five health boards in the country which did not meet the Scottish Government’s 18-week waiting time standard for child and adolescent mental health treatment in figures published on Tuesday. 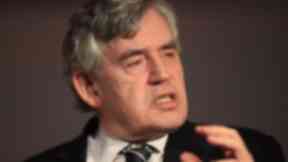 Brown said: “NHS crises should have been a thing of the past. “Of course the Scottish Government is free to spend as it sees fit but their decisions mean that far less is being invested in the NHS than the Barnett formula ever intended. “In effect, it has left the NHS in Scotland hundreds of millions of pounds short of what it should have. Pauline Buchan, service manager at The Cottage, said: “The new project will provide training and mentoring for an identified group of adolescents whose emotional well-being is causing concern, and who are experiencing difficulty attending and engaging with school and other social situations.